So… Any last words in defense of Disgusting Decaying Decoy? Alright! Cause i gonna figure out how to get rid of this parasite properly. I mean figure out how exactly this thing was or will be slain (depending on subjective time), without precious Mordecai getting irreparable damage. I’m not quite sure if Decaying Decoy has different body or it parasites on host. This line is blurred and seems quite abstract. In BL2 actually was an antagonist, and, of course, this antagonist wasn’t worthless wannabe John the office plankton (this possessed dummy was only a faceless “symbol” of this kak). The real Antagonist in this story was not even Who but What, and it was literally Decay. The essence of Decaying flesh of the dead Old God, impersonal psychoactive substance that was dug out from Pandora’s tomb and afflicted all the characters and locations, and in combo with cheap plastic from “blue hell” also summoned disgusting spawns like “playable characters of bl2” and other soulless decoys. Such Decay is not like the one who is harmonious part of Life and makes food for worms, grass and trees. Void Lords hate Life and scorn the Existence; their Decay is meant only for Decay in order to make the Void and nothing else. On Pandaria this Shiт is known as Sha, on Pandora as Slag or Jack, whatever, these “anti-Plants” are physical manifestations of negative emotions — such as doubt, despair, fear, hatred, or anger. And BL2 can give all of these “wonderful” feelings in addition to deceit and distorted samples of all kinds of vices! Mortals, DO NOT TOUCH THESE THINGS. Ancient Titans, Eridians and other Great Old Ones, do not sweep away infectious waste under the carpet, follow the recycling protocol. The point is that such beings in principle is not designed for having any physical form, and even if they manage to receive one while entering Reality — all this bizarre biomass with eyes and tentacles is subordinate only of their mind, thoughts and personality. But when such mind and personalyty dies, its body doesn’t disappear, trolling the laws of physics, and this impersonal psychoactive substance starts to come into reaction with Darkness of random creatures around. The unfortunate experiences also shown that human beings can generate more evil Evil even than Primary Cosmic Evil. But even an evil spirit originated from ripped tentacle of The Old God can have cozy charicmatic oldschool version with healty adorable TRULY EVIL personality MWAHAHAHA!!! For example Lord Aku voiced by Mako! The Master of Masters, the Deliverer of Darkness, the Shogun of Sorrow! However, Aku’s nature is incendiary and have no signs of Decay; glorious Aku looks very alive and healthy, that speaks of ability of his maternal cosmic biomass (apparently Shub-Niggurath) to successfully propagate by cuttings. So much depends on VO! Original Mordecai with his Soul Core can be such a wonderful monster full of doubt, despair, fear, hatred and anger at the same time! and then he simply becomes immune to this Sh~ and joyful again, as he was in BL1, but a little bit wiser and upgraded for new unforgettable journeys and adventures. Hm… Seems like another confirmation of theory (described in post #21) that some people avoid noticing and perceiving emanations of natural types of energy. Anyway, who need these “Eridians” without “Doom guy” who can use them? The thread is first of all dedicated to One and Only True MORDECAI Neverdying, Protector of Jimenez, Sworn Enemy of the Incubus! So to not to seem off-topic skag poop it’s better to discuss all the cosmic snails, tentacles, infinite ammonites, physical anomalies, temporal paradoxes, harmonic refluxes, et cetera Borderlands lore in context of studying the nature and character of possible interactions with particular good human character known as Mordecai… or Melquiades, or Manuel, or not even starting with “M”, in any case, if you once knew him, you will never confuse him with anyone, because he’s so unique and specific. Since the art created by humans is created to be perceived by humans, all fantastic “unreal” things need “a bridge” like human character who can show exemplary perception of such things, for example, we can perceive evolution of the image of Aliens through Ellen Ripley, or because of how Carrot and Potato talked to Abbott and Costello we can understand the sense of stuff shown in Arrival. Mordecai has perfect settings to be the one who reveal the Heart of Border Lands, only this image is not yet complete and strengthened, and was also severely damaged by Decaying Decoy. That’s why continuation of work of original actor (who has put in him these perfect settings) is so important, especially on current stage. The metaphor: It is bad when people say that it is necessary to “move on” and trample down sprouting sunflower before it grows big, yellow and happy to make the seeds. New quest available! Gotta beat such people with a stick! By the expression i saw in the eye of “the Destroyer”, i don’t think he was hostile. More likely he was just confused and frightened little one. I assume the environmental disaster could have been avoided if in events on Elpis appeared True Mordecai with activated Rancher talents (and Original Roland who would have listened, first of all, to the inference of the “specialist”). It might be possible to somehow find a way to establish contact with “the Destroyer” and transport him (or her) in safety, even tame maybe. But things without all remedy should be without regard: what’s done is done. However good “move on” requires “learn from mistakes” (conclusion from this story: without Mordecai BL totally f*cked up). It’s just a thought for the future. By the way, for example. Hell yeah! Found positive “missile” that can simply annihilate sad foolish decaying Incubus! Awesome music video starring Julio Cesar Cedillo… who acts like typical GTA protagonist while missing some voice work… Yaaay! There is also a demonstration of Real Mordecai in canonical flight helmet with photorealistic graphics style! By the way, in setting where Julio acts like typical gta npc and where Jimenez is his drug cartel, his minions are styled like nastoyashie Malenkie Mordecaichiki! Some people demanding to know what had happened to Decaying Mor-decoy from BL2 aka Alcoholism and lousy minion of Incubus. And not necessary that in the “second group” were only naughties who never played BL1, good people also demanding to know what had happened to Mor-decoy just in case if it try to spoil someone’s mood again and somebody will have to bury this thing, because even skags will refuse to eat something so stinking. I know what had happened to Decaying Decoy. It was exiled to the lowest circles of Hell, the very bottom of bottom, where Dante and Virgil never stepped. Demons no longer monitor for lost souls there, it’s more like abandoned basement or some kind of utility room where laundry and boilers for upper circles were. Klopotinsha’s Survey Admiral Amicus tracked down Liebrecht’s Stench* in the setting of zombie apocalypse, where people don’t even use term zombie apocalypse. *not a literal stench, although likely this also takes place, but i mean mostly stench of thought; beings with psionic powers usually describe perception of negative mental impulses as a “stench”. Amicus said, ‘daym, I feel Liebrecht’s Stench’, looking at the scenery of devastation and fidgeting zombies in gray shades. And then appeared that there is actually freaking Liebrecht! By the way Liebrecht’s Stench is kinda new term like Chekhov’s gun and Shephard’s pipe wrench, but, while the original two is about dramatic principles of using special plot items and quantum physics, Liebrecht’s Stench™ is manifestation of decay and despair, serving as a prelude to something bad and extremely unpleasant. 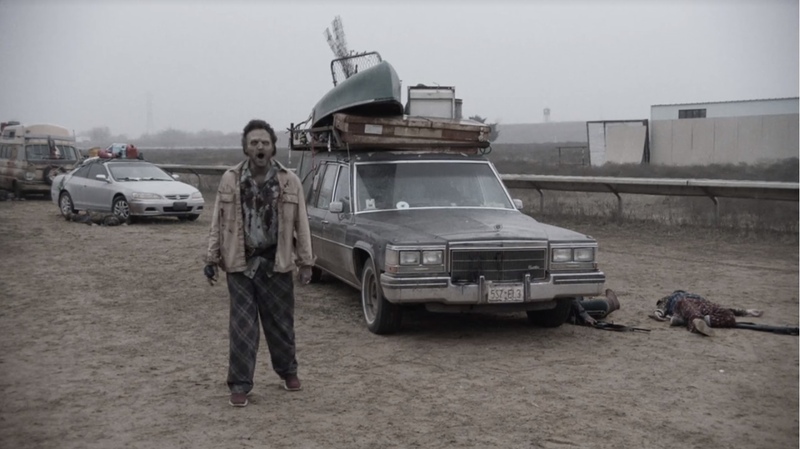 “Anti-Aaron” appears in episode “Just in Case” of fourth season of FearTWD. It was like an anecdote: Adorable Cowboy John Dorie (yup, Dorie like a fish from the cartoon) meets Decaying Decoy in after-Mor-decoy stage. And Liebrecht does the same stupid grumpy face like in Day5, but looks even more stinking this time, like not only his beard is smeared with crap, but he also has a full pants of it. ‘We don’t know each other, I’ve seen your flag, I see your cloths, I know what you are, I know we got a particular person in common,’ said the Cowboy, guessing that Stinking Decoy has something to do with something really bad. And the Cowboy even gives Post-Mor-decoy a choice to not to act stupid and stay unharmed. And The Decoy choses to act stupid, because, daym, Decoy is so stupid! The question arises, how could Post-Mor-decoy survive for so long in zombie apocalypse setting, if he’s so damn stupid? And then Adorable Cowboy was pissed off, because the only thing Mor-decoy can do is make good people pissed off. Never seen Dorie so angry before. Poor Dorie. By the way, this version of stinking Post-Mor-Decoy is a member of the Vultures, a hostile gang of cowardly nomad looters who sit nearby villages like anti-hippies and decrease morale of the inhabitants by stinking and talking crap like, ‘something bad will happen to this place, because something bad always happens, we’ll wait until you’re all die and then just loot your stuff’. Yeah, perfect role for Liebretch. It would be even funny like running joke if Decaying Post-Mor-Decoy wasn’t so disgusting. The moment when Morgan jammed in the “wrong” mode and doesn’t let to shoot the crappy guy in his stinking ugly face trolled me a bit. Damn Post-Mor-Decoy! The guys who read the comic book said that originally Julio’s character in TWD was a lady who was needed to say that the Governor is a douchebag. But instead of banally pointing at something obvious, Lieutenant Welles tells badass stuff like “Brothers in Arms vs. Zombies” with the shiniest Otter Eyes full of life and increases morale of the spectators so they could endure the most rotten part of the show. In the next episode of FTWD Post-Mor-Decoy continues crapping his pants and doing stupid grimaces, while hiding behind backs of other Vultures like the last coward. And then one girl kills this jester with a shotgun! And then LIEbretch stands up in his true form! He-ell yeah! I told ya, shotgun-axe is really awesome idea in context of LIEbretch’s roles! Seems Zombie-brecht hasn’t finished their school, coz it looked more like an amateur performance. I think it was the most ridiculous zombie in TWD series. Now there is no doubt that Liebretch understands WHAT he is doing. He really tries hard to look as disgusting as possible. He has a specific talent that can be useful for specific roles. 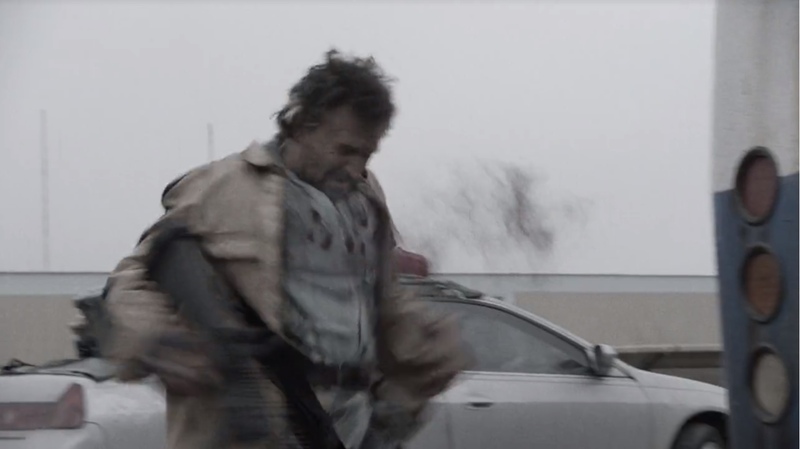 I’m glad that in FTWD Liebretch was used by its intended purpose. But it does not redeem the spoilage caused by the heartless people who hired this thing to defile Mordecai. By the way, I still haven’t played BL2 second time as I planned. I assumed I’ll be able to, after at least someone else here at least tries to help overcome bitterness of missing the main character of Borderlands series and of mockery with insulting decoy. My suspension of disbelief simply won’t operate with this again, especially after we figured out that Mor-decoy was even more hideous than i thought. I, who have played in BL2 a single attentive co-op walkthrough of all quests, DLCs and add-ons (except TPS dlc about Claptrap, and not counting n times i restarted the first location of BL2 trying to pick less repulsive of “playable” characters, and times when i abandoned the game on Tundra Express unwilling to tolerate Liebrecht’s Stench™. I would definitely demand a refund, if i wouldn’t buy Steam BL2 with all addons for 3 bucks. ), remember whole BL2 much better and more picturesque. First time i could endure walkthrough of BL2 on the momentum of BL1, and it was worth it, because after that coming back to BL1 become even more pleasant. I prefer to keep the good memories of BL2. So I won’t even install this nerfed kak on my computer again. And once again I want to add a line of praise about Cedillo’s work on Borderlands series. Because if he had not defined this vector, heck, i wouldn’t beat even a quarter one seventh of BL2. He definitely did the great job on BL2 even kinda not doing anything. The thought that he may come back in some next addon or after next addon or after next-next addon motivated to go through all this ■■■■. gotta simply check IMDB before thinking to buy BL3. Imagine that you decided to cook something super delicious. You fry pieces of gorgeous fresh meat, and then vegetables, aubergine, tomatoes, all kinds, add your favorite spices in there, then enjoy how it looks and smells wonderfully… and then you decided to add an egg to this beauty. Yes, an ordinary egg, what can be bad in it? great show with awesome cast and nice relaxing ambience, almost like Downton Abbey (by the level of coziness) only about criminal stuff with violence, thriller and comedy, very exciting and heartwarming. And so one day, after hard day’s work, I decided to relax and watch the 3rd season of this cozy show, but something went wrong. I’ve seen some really unpleasant sh*t.
I mean, of course, the whole plot of this show is built around “unpleasant criminal sh~”, but it always been made interesting from the point of view of dramaturgy, composition, aesthetics, and so on, I also like that the color filter of the picture is so festive, usually warm orange. But those moments that I called ‘some really unpleasant sh~’ were from completely different opera. Something terrible happened to one of the main characters, I can’t remember his name for sure (even after three seasons), because it is too simple like Johnny or something, I usually call this guy Ghost Rider since he has similar model (he was even given the skull mask during one mission with Jimenez fraction). In the third season Ghost Rider began to behave strangely as when elite highlevel unit receives morale debuff after meeting with something undead and can’t normally attack or do anything at all and threatens to mess up the campaign. And these moments, which I refer as ‘completely unplesant sh~,’ occur in his flashbacks, which have nothing in common with cozy ambience. 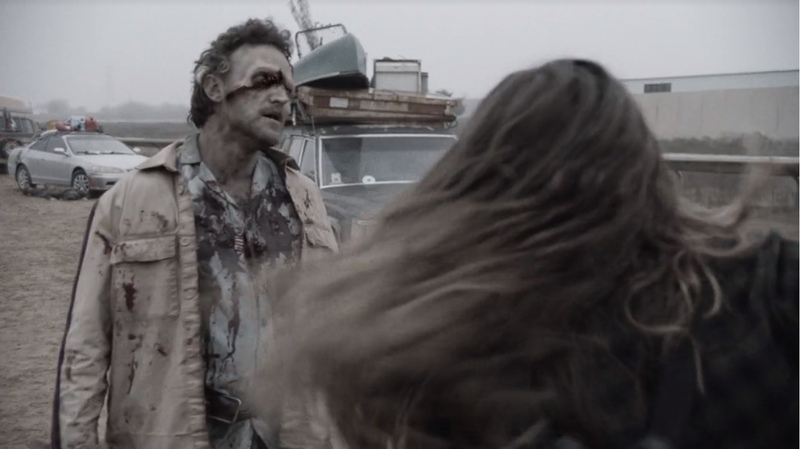 These flashbacks were shot with an unusual pale-gray depressing color filter reminding about the bottom of hell with zombies. Short story long, I have seen the continuation of the most dumb, insulting and not funny running joke ever. It turned out that Ghost Rider has met with Liebrecht’s Stench™ (manifestation of decay and despair, serving as a prelude to something bad and extremely unpleasant). And he played the role of deliberately disgusting Decoy of Ned Flanders, who hijacked cocaine shipment and used little girls as demoralizing weapon. All in all, the ambiance of these flashbacks was more like in videogame Resident Evil 7 Biohazard. Jimbo’s morale was decreased because of nasty debuff and experienced killer couldn’t normally finish the mission with Silent Assassin rating, did everything sloppy and noisy ( just blew up the damn house, even caused death of one of little girls, whom Decoy used as a demoralizing weapon). And in parallel with scenes of Liebrecht’s stench™, in the main narration we see how favorite characters like Chewbacca were tortured, injured or killed. According to all canons. I even thought to make a screenshot of this Decoy and insert it here so the words of some hostile usernames from the beginning of this thread looked completely ridiculous, but i decided that I don’t like the idea of saving something like this on my harddrive. Besides, i feel awkward that I even recognized this scoundrel’s face, although on the other hand it’s better to know Mor-Decoy as indeed shameful grotesque stinky, rather than something simply unsuitable from shoddy anime. I really need medicine after such a bad thing! Yes, I know the perfect antidote - good memories with participation of the most adorable character from the coziest episodes! But I had not wrote 100 longposts about important and beautiful symbolic role of Don “Mordecai” Jimenez (and his horses), but actually I did everything right, because it’s not appropriate to write spoilers about something so important, so I just mention that it was superb. It’s time to turn on nice relaxing music for complete healing. 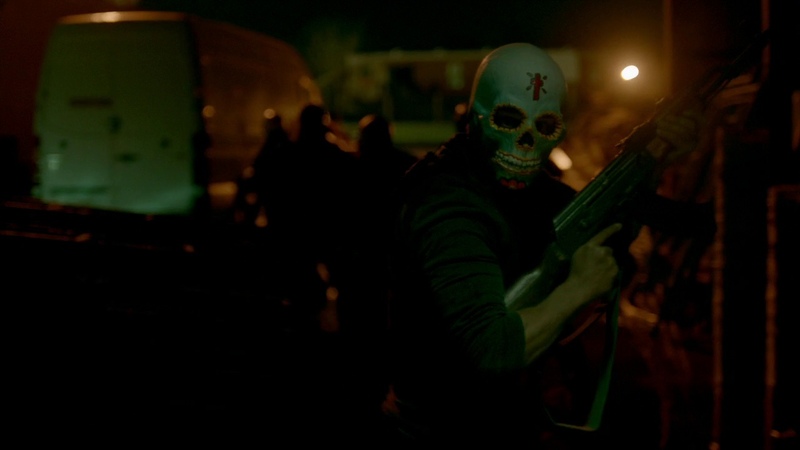 Btw, I’m going to watch “Queen of the South for boys” (Narcos: Mexico), starring rebel from Star Wars, Ant-Man’s friend and our favorite True Mordecai! It is really strange why GBX took on roles of “the same character” representatives of diametrically opposing forces. I mean it excludes the concept of “the same character”. Such BETRAYAL is even more insulting than turning of Prince Arthas Menethil into The Lich King. However, unlike the cool example with golden-haired paladin boy, with “Mordy” from BL2 it was stylistically inappropriate, not supported by the plot, performed poorly and not cool at all and can’t be considered as canon and also was stupid like if The Lich King was made of Chen Stormstout. Oh, by the way, if in BL3 will be Mordecai there should be an allusion to the scene from Sicario! BWAHAHAHAH keeeek! That’s gonna be awesome!! By the way, I finished watching Narcos: Mexico second time! Yea, such a wonderful show, that I wanted second walkthrough right after finishing the first on one breath. But my most favorite character is Comandante Guillermo Gonzalez Calderoni performed by Julio Cesar Cedillo! Another lively, slightly rude and grotesque, but very charismatic and picturesque character with completely new sets of animation very different from other Julio’s characters I’ve seen before. you should beat the game at least… 6 times, learn all boss tactics, builds, secrets, so nothing could surprise you. Mordecai’s backpack must contain numbers 9999999 and best guns so there was no need to pick up anything. Don’t answer the questions, wait awhile, and then yell at them (very irritated) that you had very important afk to go to eat and watch TV shows! A few years ago, I came out of the cinema under great impression; who would have thought that the story about bloody cartel war could bring such bliss. And sometimes while reading I caught myself thinking that I probably make face like Calderoni on screenshot from previous post, because the written version of the plot was, to put it mildly, very different from what eventually became one of my most favorite films. Although, I think that complete use of the script was not supposed by the writer himself since this script looks more like schematic frame abundantly filled with random violence and stuff for director’s selection and space for actors’ improvisation. or maybe it was intentionally written This way, so Julio could train doing the cute shocked face? Yea, dis man would rather quote Zapata than play something not cool, so initial script wouldn’t work anyways. And so the shapeless monster from script was turned into super elegant… cuddly cutie kitty-kitty! aww he’s so adorable that i just can’t hold it. 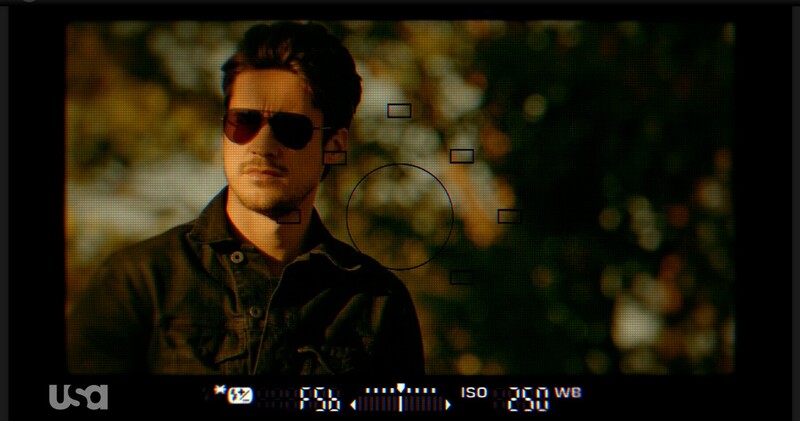 I’ve seen in Julio’s Fausto Alarcon a spiritual continuation of charismatic “villain” who just wanted to build a restaurant for mom and who doesn’t seem any bloodthirst or violent, just a businessman in very bloody business where sometimes killings happen. I bet he didn’t even tie up the deaf girl. Pay attention how Alejandro holds the distance in film, seems he afraid to get his head slammed on table. I remember that spellbinding magical stuff that eventually turned out in the film as ‘the most aesthetic scene I’ve ever seen on the big screen’. But if some LIEbretch (guy who voiced Mor-decoy in BL2) would’ve got role of Fausto Alarcon, initial script could be used without any changes! In this case stabbing a fork into the hand sounds good; maybe better add even more senseless violence and cynicism. Borderlands 2 is very like this initial script: raw matter to work with, quite good as schematic frame, but yet too impersonal and with many sharp angles. So I admit i was wrong saying that BL2 needs a remaster… coz it needs a complete remake! Well, for the good character who is depicted on the left, I’ve been picking music for several years, there are a lot of different genres for different situations and moods … should be enough to run a little Inter-Vault radio station! But as for the bad thing that ruined all impression of BL2 on the other side… well, I don’t even know … this British rap song perfectly emphasizes its ambience. In first Borderlands 2 DLC, Captain Scarlett and Her Pirate’s Booty, was a location Oasis where most of NPCs were dehydrated corpses with voiceover written on ECHO-devices. I think it’s more correct to consider released game Borderlands2 as semi-canon on same level as, for example, the play “The Boy in the Iceberg” based on the legend about little monk who had to end the century-long war. 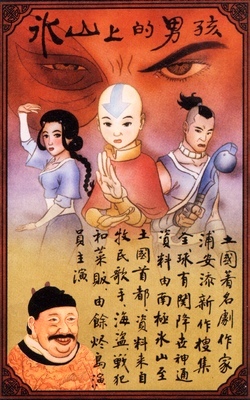 This example is from episode “The Ember Island Players” of the third book of Avatar: The Last Airbender, in this episode the protagonists, Team Avatar, watched the play based on their own adventures. The story of this play can be called a semi-canon, since it’s kinda correctly lists almost all events, but important details are missed or presented with absurdly distorted meaning. Surely, with such formulation of the narrative there’s no place for wisdom and coziness of the cutest character, instead he was shown in the most flat and derogatory way. The moment from Borderlands: The Pre-Sequel!, when Mor-decoy says, ‘our story just began with us getting off the bus’, shows that Hyperion dude who composed decoy’s lines knows about Mordecai only from a brief retelling of another dude who once watched shortened ECHOnet record of Marcus’ play about VaultHunters. True Mordecai would never say anything like this, instead he’d probably make a weird smirk hooking thumbs in side pockets of pants and slightly tilting his head down; someone who’d notice that would probably think that Mordecai found something funny in Athena’s story of horrors; but actually stories about explosions in the low gravity zone may just made him recall something from his past like favorite moment of his great grandmother’s story about Ancient Eridians, or moment from youth and Championship when the guy from opponent team stumbled trying to speed up with rocketjump… or maybe he just thought something like ‘mierda – i should’ve grab few bottles of booze before the lady starts talking’, or maybe he imagined in his head that Athena says ‘Athena, Out’ after each sentence… maybe all at once. After all, Borderlands story is not just shooter-rpg, but first of all – a theatre.